Gorkana events manager Hannah Hodges shares with C&IT her favourite hidden gems around the Pearl River Delta. The Mandarin Oriental Group has an impressive range of event spaces with capacities ranging from 12 to 600, many with fantastic harbour views. We used The Excelsior hotel in Causeway Bay and it ticked all the boxes for us – central location, within budget and excellent service. ToTT’s Bar and Roof Terrace (below) on the hotel’s 34th floor is the perfect place if your guests want to carry on the party. Another great hotel is the The Ritz-Carlton. It really does have the ‘wow’ factor, the decor throughout is stylish and the service is seamless. If you’ve never been to Hong Kong before you must go to The Peak, which is the highest mountain in Hong Kong and offers a panoramic view of the city. I would recommend arriving a half hour before sunset to watch the city light up. Also, take the enjoyable 120-year-old tram ride up to The Peak. Happy Valley Racecourse is the place to be on a Wednesday evening in Hong Kong. It’s not just horse racing – there is a fascinating museum on the grounds, which showcases the history of racing in Hong Kong and a busy beer garden serving barbecued foods and refreshing drinks. When it comes to dining in Hong Kong – there is almost an endless choice. My favourite restaurant experience was at Under Bridge Spicy Crab in Wan Chai district, which served the most amazing soft- shell crab. It’s a great place to go with a big group of delegates as the crab portions are huge. Another favourite was Yardbird in Sheung Wan. Best known for its remarkable yakitoris and KFC (Korean fried cauliflower), this restaurant is perfect for giving your guests the full Hong Kong experience. 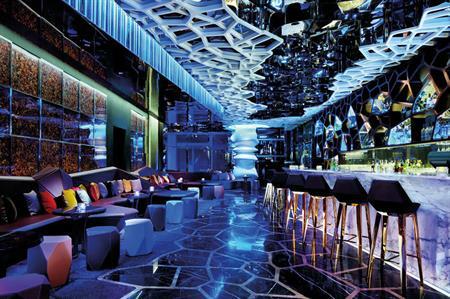 If you’re looking for a location to impress clients, Ozone bar at the Ritz- Carlton hotel is the place to head for. Not only does it have an extensive cocktail menu, it is also the highest bar in the world. 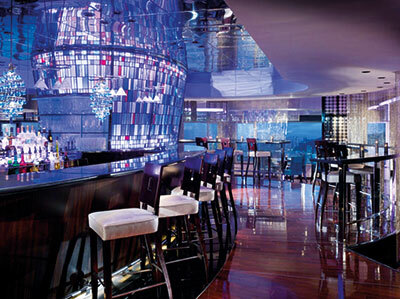 From the bar’s extensive terrace you can see the spectacular Hong Kong skyline in its entirety.